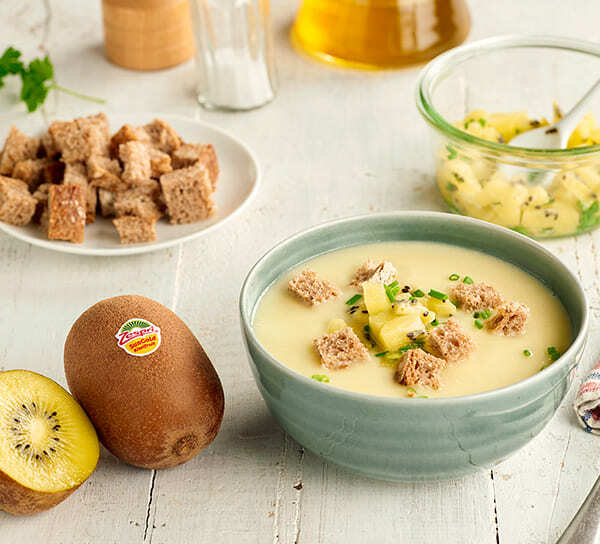 Here’s our take on the classic French recipe for a chilled leek and potato soup that’s rich, creamy, flavoursome and has an exotic twist thanks to the sweet and juicy zing of Zespri SunGold kiwifruit. Peel and dice the potato. Remove the tough green tops of the leeks, and slice the white part finely, rinsing with cold water in a sieve. Remove from the heat, blend and season with salt and pepper. Peel the Zespri kiwifruit and finely dice. Combine with the chopped chives, parsley and a pinch of salt. Serve the vichyssoise cold, with the salsa and the bread cut into squares. It isn’t always easy to keep your cool when the temperatures begin to soar, especially if you’re pregnant. High heat and humidity can transform glorious summer months into uncomfortable days, melting magical moments into a pool of sweat.